Yup…feeling lost without vegetables at home? Yet you wish to dole out a dish in a jiffy. Smile if you can spot some limes and lo! here it is…instant “Solution” to your problem! Sweet n sour, spicy, zesty, gorgeous looking Lime Juice Gojju is utterly simple to make, pleasantly piquant to the palate and hoarded with benefits that heal your health in more ways than one. 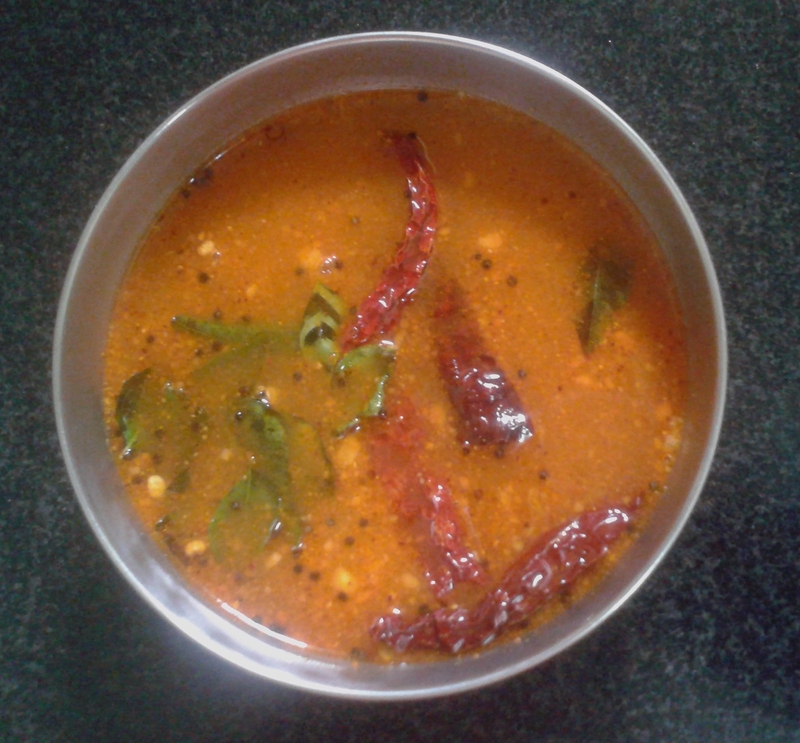 This cool cuisine is a classic Karnataka delicacy, relished along with hot steamed rice, idlis, dosas, khara pongal etc. Bonds well with bread too! Bow to this beauty…..
Salt to taste 2 tsps approx. Wash lime in water. Drain the water. Cut each lime into half. Extract juice from them. Keep it aside in a bowl. Take a small bowl. Put gojju powder in it. Keep adding small quantities of water and mix them thoroughly till you get a slightly dilute yet flowing consistency. Add salt and jaggery to this mixture. Boil it in a vessel. When the bubbles start appearing, switch off the flame. Add lime juice. Now you can season it. Heat oil in a small skillet. Put mustard seeds. When they crackle, add red chillies and curry leaves. Switch off the flame. Add asafoetida and immediately pour it on to the gojju. Lime Juice Gojju is now ready. Place whole lemon in the freezer overnight. Grate and use it for meal next day. This enhances the taste of food, helps one live longer and healthier. Consuming a whole lemon is far more enriching than just the juice.